> jednom renomovanom laboratoriu na hraniciach Svajciarska a Francuzska. 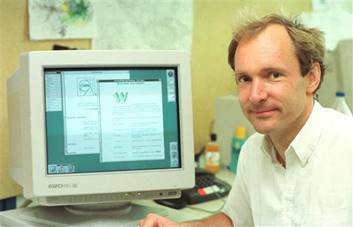 > While working at CERN, Sir Tim Berners-Lee invented the World Wide Web. > theWorld Wide Web <https://home.cern/science/computing/birth-web>. > invention with a special day on 12 March. > be with us on the day/,” said CERN Director-General, Fabiola Gianotti. > please contact press na cern.ch <mailto:press na cern.ch>. > Romania, Slovakia, Spain, Sweden, Switzerland and United Kingdom. > currently have Observer status.